It’s a time for lofty goals and the sharing of aspirational (inspirational? conspiratorial?) memes on Instagram. And, of course, telling yourself that THIS is the year that you’re going to actually stick to that exercise plan, or take that awesome trip you’ve been fantasizing over for years. Speaking of which, this month I’m profiling a book written by a couple who quit their jobs to visit every American national park. Next up is the first in a series of ghost stories that feature scares mixed with some humor. Finally, in honor of the Superbowl, both for those of you who love football and those of you who only pretend to do so to eat delicious snacks at Superbowl party festivities, I’m also including a slow burn football romance. So, grab one of these excellent audiobooks for your New Year gym routine, or just sit back with it and relax – relaxing is a great New Year’s resolution too! Matt and Karen Smith had spent 28 years working and raising children, and in 2010 decided to quit their jobs and visit every national park in the USA. On the way, they chronicled their journey in the form of letters sent to their friends, Bob and Sue, whose earlier trips to national parks had inspired the Smiths’ interest. The authors are upfront about the fact that this is not a guide to “how to visit all the national parks,” but rather a series of humorous and quirky observations of their experiences. 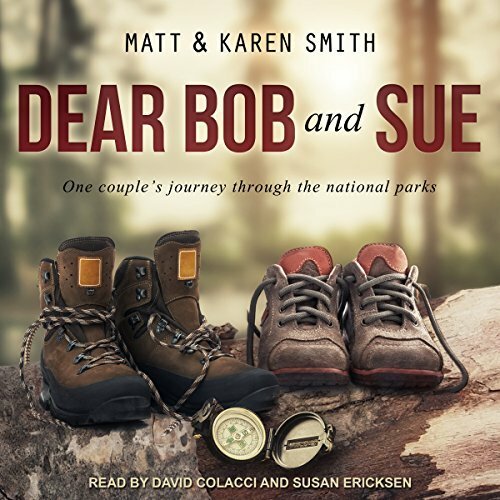 Even so, many reviewers have noted that Dear Bob and Sue can act as an interesting and, at times, irreverent introduction to American National Parks. As a bonus, it also provides a helpful guide to finding good beer and pizza near each park! At its heart, one of the most charming aspects of this book is the relatable, and at time, hilarious, insight into the authors’ relationship. This audiobook will make an entertaining and inspiring listen as you plan your own dream vacation! 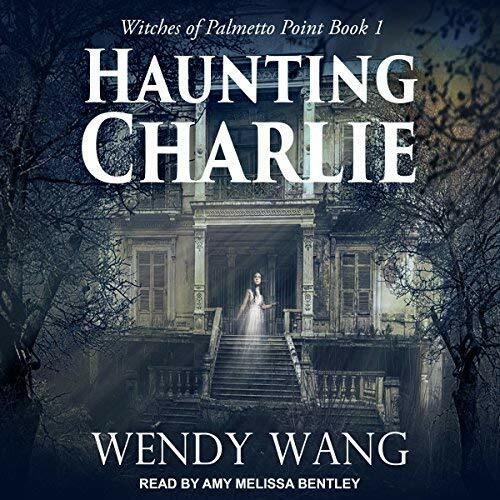 Wendy Wang is a flexible author who started out self-publishing in the fantasy genre but recently made the switch to paranormal mystery with her successful Witches of Palmetto Point series. In Haunting Charlie, we are introduced to Charlie Payne, who is recently divorced and working at a call center. She just wants to be normal and to be a good mom to her son. Unfortunately for her, she’s also a witch. And she sees dead people. When she meets Susan, who is trying to turn a run-down, ghost-infested mansion into a bed and breakfast, she agrees to help. Can she learn to harness her powers and triumph over the dangerous spirits haunting the house? Amy Melissa Bentley narrates this suspenseful paranormal mystery to great effect. Try all four audiobooks in this series! Mariana Zapata is a New York Times and USA Today bestselling author who writes contemporary romance. The Wall of Winnipeg and Me was chosen in 2016 as a Goodreads Choice Award nominee, a feat she repeated in 2017 with Wait For It. This football-themed sports romance follows Vanessa, a personal assistant to one of the biggest (both figuratively and literally) professional football players, Aiden Graves. It was always supposed to be a temporary gig, allowing her to get her finances in order so she could pursue her true dream of being a designer. When she finally quits, she thinks Aiden will barely notice, and she’ll move on with her life. Then he shows up at her door, asking her to do him a BIG (possibly illegal) favor. This is a beautifully-written slow burn, read delightfully by Callie Dalton, with over 3,500 reviews on Audible. Listeners have loved the snarky humor, the complexity of the characters, and the realism of the romantic relationship as it develops. Check it out today!